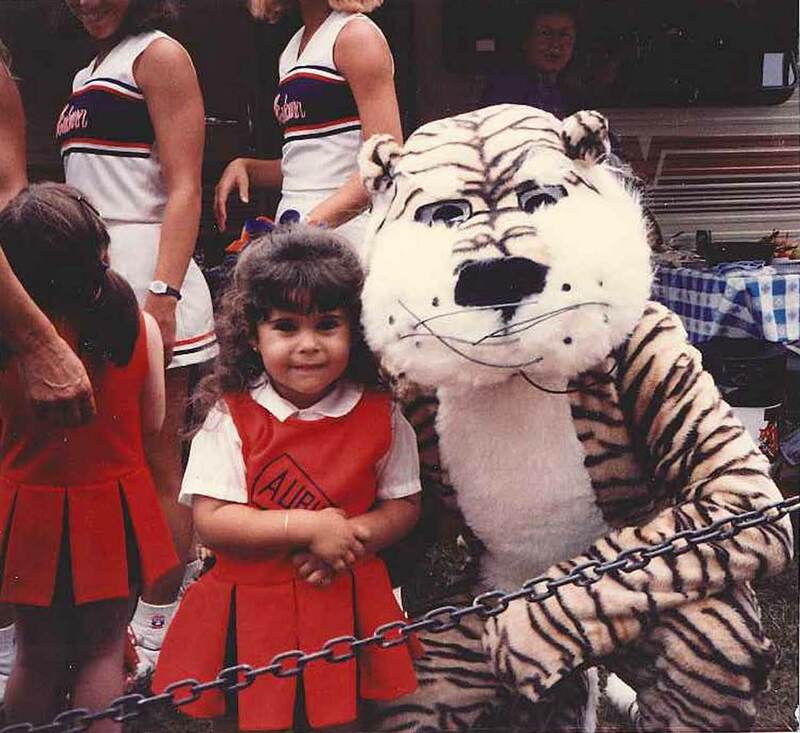 My Auburn story began before I could even say “War Eagle!” I was born and raised an Auburn fan due to my grandfather’s influence (Fagan Canzoneri ’43). He lettered in football and basketball at API in the early 40s. Although he passed away when I was in 7th grade, I will forever say he is the reason I have such a strong love for Auburn University, the city of Auburn, and its people. I always knew I would likely pursue my undergraduate degree at Auburn University, but my love and passion for the university has only grown stronger after finishing a Master’s of Education in 2013 and having the privilege to be employed by my alma mater since 2010. From being elected by the student body as Miss Auburn in 2005 to currently helping raise funds for Auburn’s first billion dollar “Because This is Auburn” Campaign, Auburn pushes me to be better, dream bigger and to make an impact through my work. I may never be able to repay Auburn for all it has given me, but I will never stop trying.